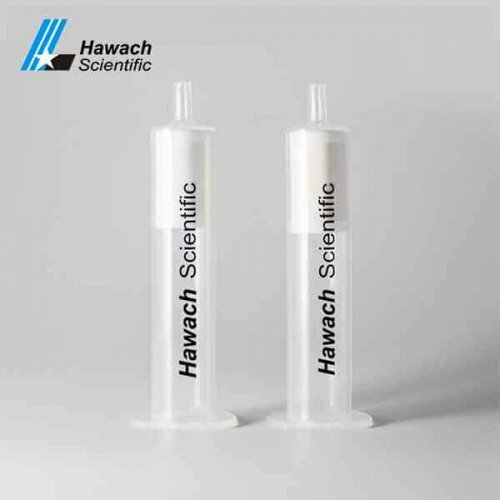 Silicon Dioxide is one of the silica gel sorbents, it can extract polar analytes molecule from the non-polar liquid. 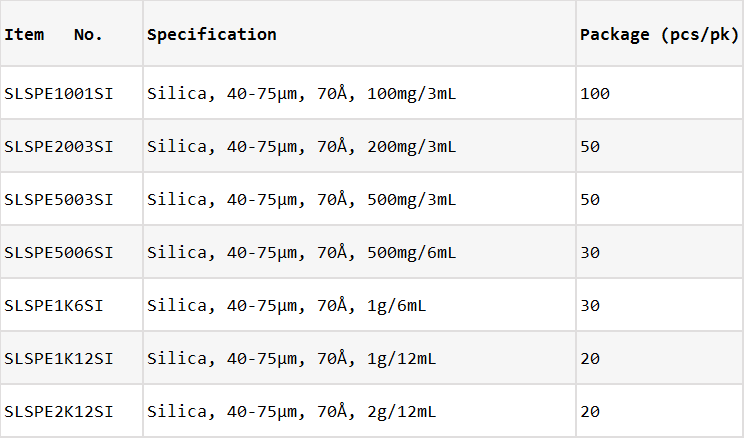 So it is kind of neutral sorbent. 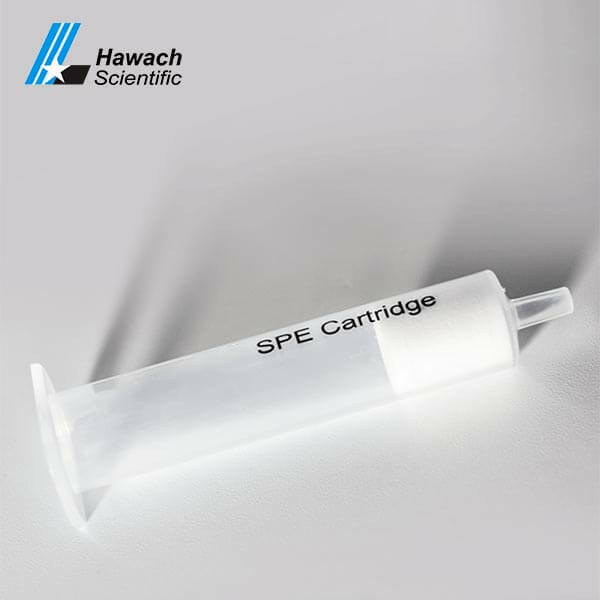 Normal Phase Silica SPE Cartridges can extract compound to affect each other by becoming hydrogen bond or polarity. 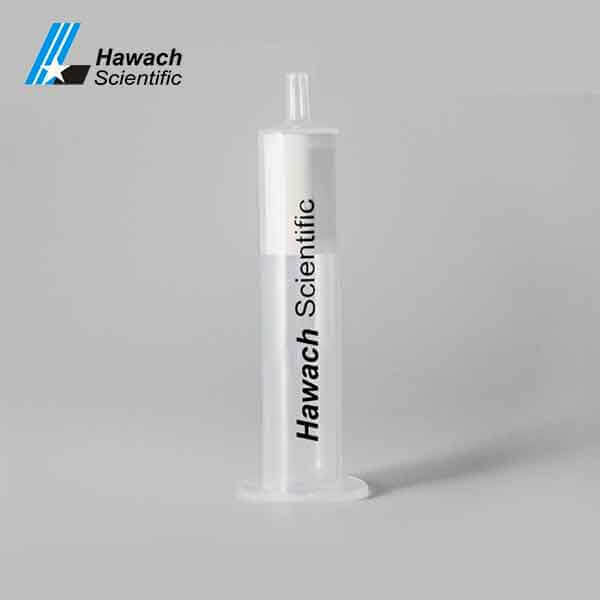 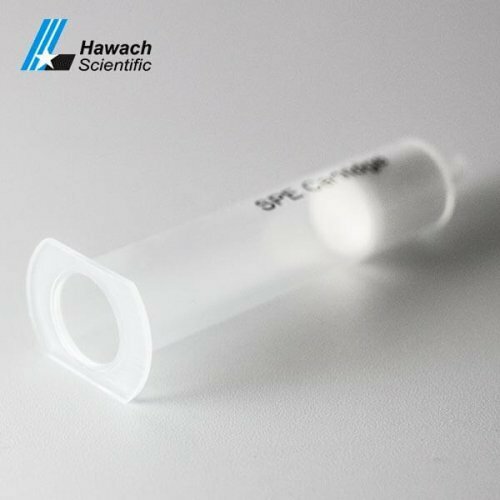 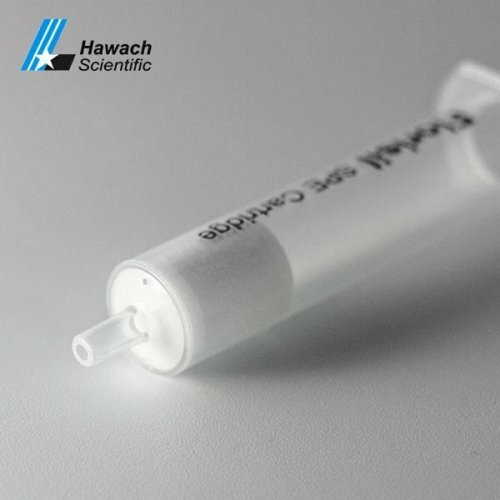 Normal phase silica SPE cartridges function group SI-OH, normally the particle size 40-75um and pore size can be 70Å, the sorbent surface area 480㎡/g. Retention unbonded silica particle which can offer strong polar selectivity in the middle of pH conditions, also it’s normal phase SPE cartridge. 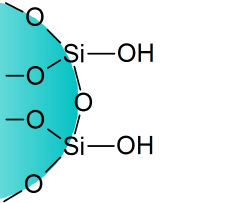 Retention mechanism: Unbonded silica particle that offers strong polar selectivity. 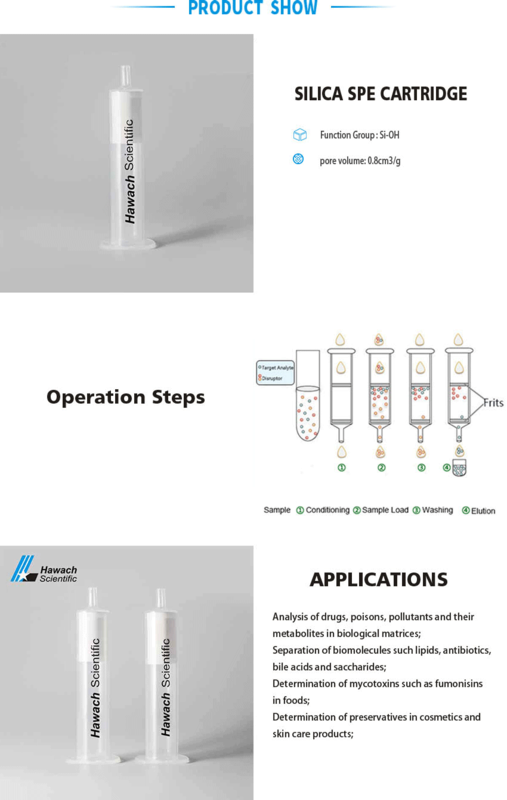 Analysis the compounds of drug and poisons and pollutants and the metabolites in biological matrices, it also can analyst the bio-molecular like lipids, antibiotics, bile acids, and saccharides, to measure the preservative of cosmetics and skin care product.